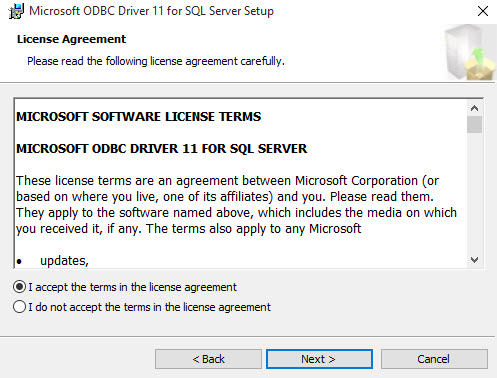 See below the compatibility table of the drivers available in Scriptcase with Windows. 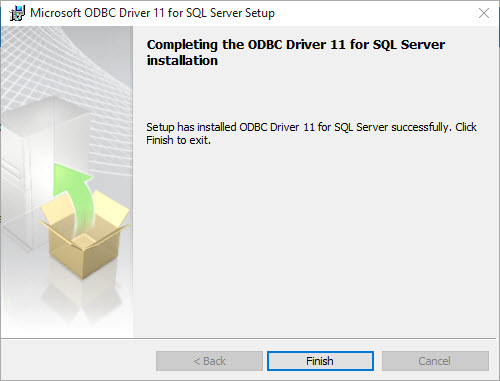 The automatic installation already comes with the MSSQL Server preconfigured, only needing to install the Microsoft ODBC Driver 11 for SQL Server so that you can do the connection. Supported Operating Systems: Windows Server (from the 2008 SP2 version) and Windows (from the 7 SP1 version). In this option leave the option “Client components” checked. 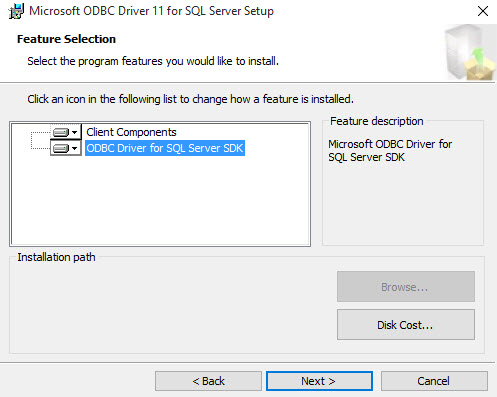 Check the “ODBC Driver for SQL Server SDK” option, because the components we are going to need are also in this option. 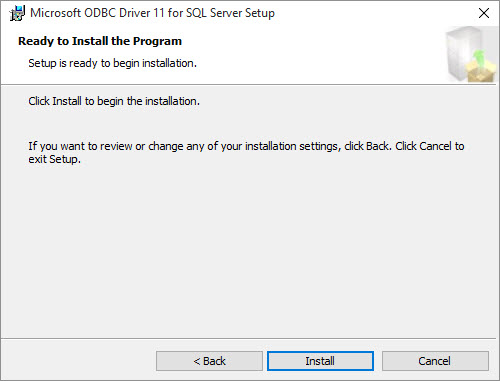 Click Install to begin the client installation. The features of the program you selected are being installed. 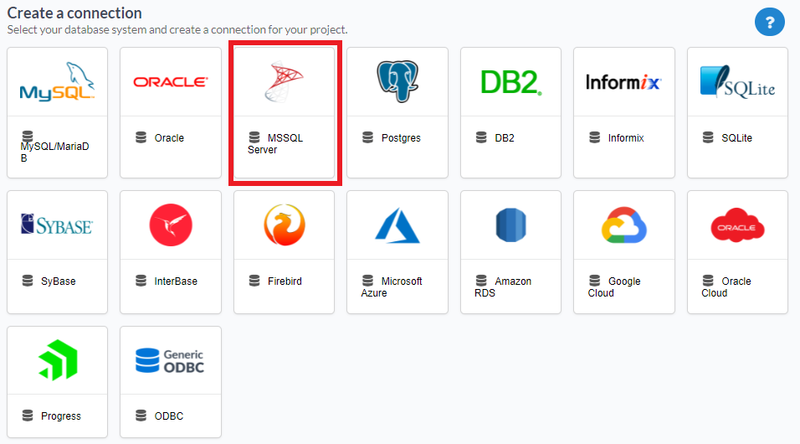 To connect to MS SQL Server ODBC you will need to create a system data source on the same Scriptcase server. 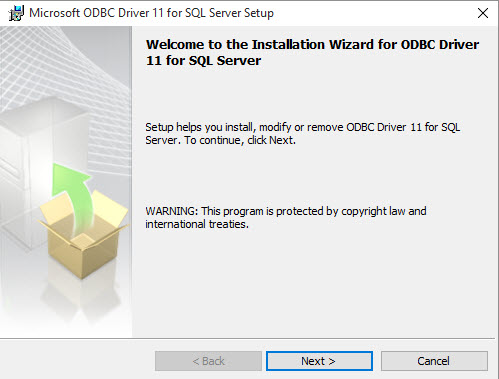 After creating the system data source, you just need to create an MS SQL Server ODBC connection in the Scriptcase. 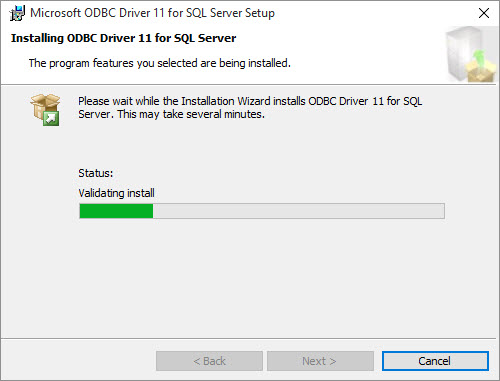 Important: This connection causes problems in nchar and nvarchar data recovery with SQL Server databases from the 2008 release. 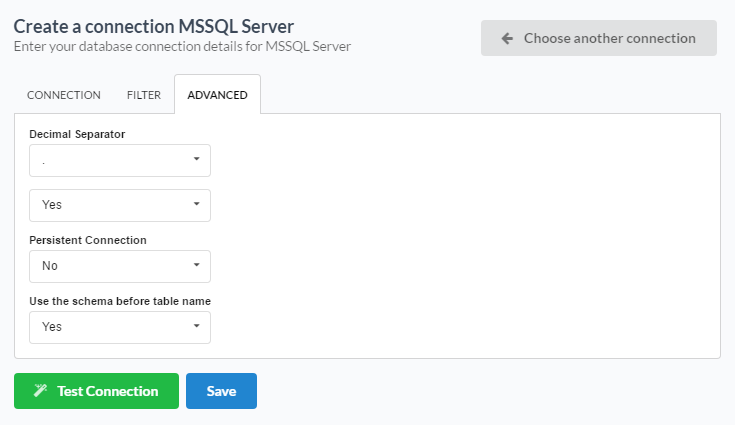 Therefore, we do not recommend using this connection for the most up-to-date SQL Server databases. 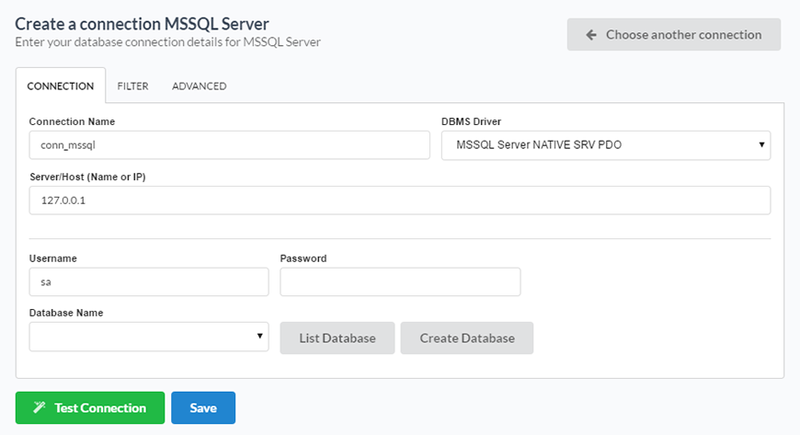 The automatic installation already comes with the MSSQL Server ADO driver, only needing to connect with the database with ScriptCase. Server/Host (Name or IP) : Insert the name or IP\INSTANCE of the server where the Windows database is located. Username : Inform the user to access the Windows database. Password : Inform the password to access the Windows database.